Lester Richardson, age 84 of Richfield passed away Monday, September 24, 2018. Beloved husband for 64 years of Dixie (nee Guinsler); loving father of Jean Barker (Art, deceased) and Leslie Austin (Matt); devoted grandfather of Jim Barker (Krista), Danny Austin (Lexie), Nicholas Austin (Lindsey), and Cory Austin; great-grandfather of Stella and Bobby Barker; Dearest friend of Dale and Jean Nye. Lester retired after 26 years from DiGeronimo/Independence Excavating as a heavy equipment mechanic. 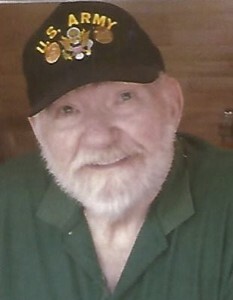 He enjoyed poker, camping and fishing with his grandson and was a proud Korean War veteran of the U.S. Army. Family and friends will be received at NOSEK-McCREERY FUNERAL HOME, 8150 BRECKSVILLE RD., BRECKSVILLE, OH, 44141 on Sunday, September 30, 2018 from 2-6 pm. Lester's funeral service will be held at the funeral home on Monday, October 1, 2018 at 1:00 pm. Burial to follow at West Richfield Cemetery. Memorial donations would be appreciated to Lester's family, envelopes will be provided at the funeral home.